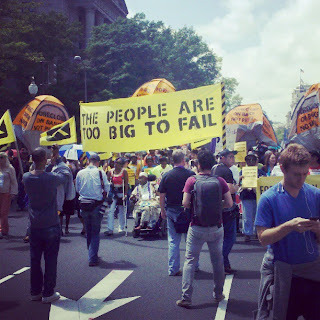 On Monday, May 20th, 500 residents and activists took the streets in our nation's capital to demand that Eric Holder hold Wall Street accountable and the Department of Justice actually serve justice to the bankers that are taking our homes. 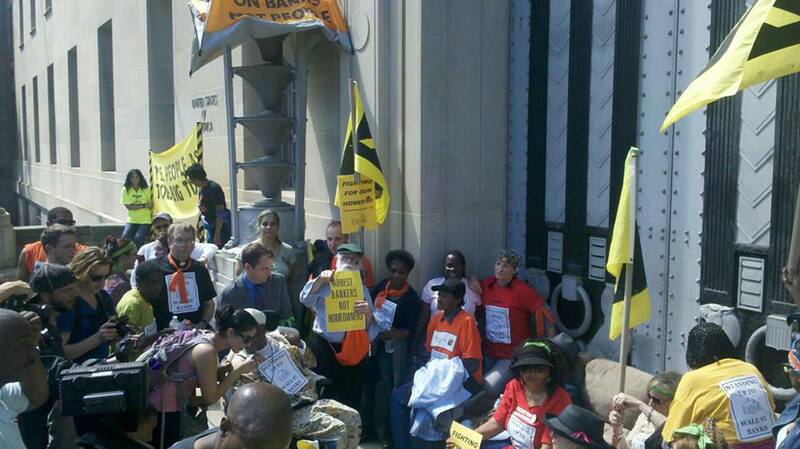 The march blocked the main door of the Department of Justice as we demanded an audience with Eric Holder, so he could respond to the letter we sent him last week. 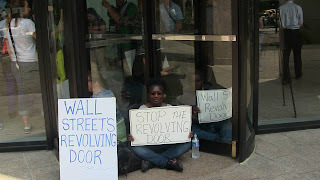 Since the Attorney General decided not to show his face, we decided to wait for him outside. As we waited over the course of two days 25 residents and activists that were either fighting for homes, or had fought for homes, were arrested. Instead of giving their actual names they gave their jailors the names of bank executives that the Department of Justice should spend its resources prosecuting instead of homeowners fighting for justice. 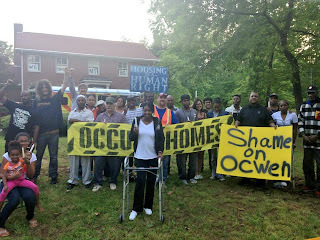 Yesterday an additional 7 homeowners, including Atlanta Homeowner Mildred Garrison Obi, were arrested outside of Covington and Burling, Eric Holders old stomping grounds. 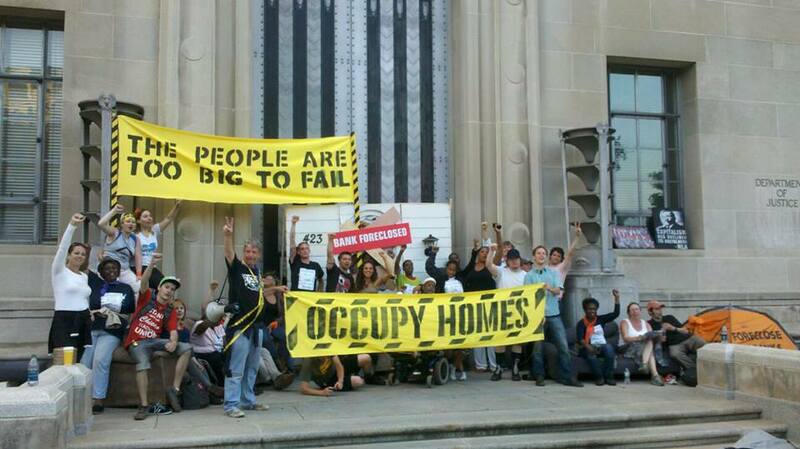 Because of our bold action in concert with other organizations like the Home Defenders League, and brave residents willing to risk arrest and police violence in the name of real justice, homeowners going by the name of Jamie Dimon and other nefarious executives have arrest hearings in Washington DC today. 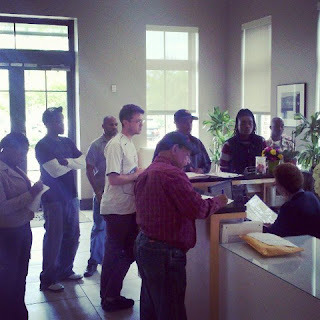 35 Atlantan’s made the trip including 10 homeowners who have lost their homes or are currently fighting foreclosure. The action made national news after footage of Atlanta foreclosure fighter, Carmen Pittman, was tasered at point blank without warning but Homeland security officers while nonviolently protesting. A delegations of struggling homeowners, some of whom already lost their homes, join community leaders in delivering the newly release Wasted Wealth Report to Governor Nathan Deal, who declined to accept the report in person. The delegation of about 15 people had to deal with a considerable amount of hassle to get into the Capitol. At one point we were put under the impression that we were not going to be allowed in the building despite having taken all the appropriate measures. 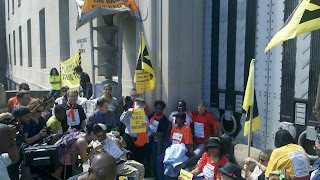 After delivering the report we held a press conference outside the Governors office. Struggling residents called for mass mortgage principle reduction and for Governor Deal to change the requirements for Georgia's HomeSafe program. HomeSafe was created with the over 360 million dollars Georgia got from the federal settlement the big banks made. The money is supposed to go to the hardest hit. Instead only 1% of the funds have ended up in the hands of those that need it the most. The City of Atlanta lost 901.8 million dollars in wealth due to the foreclosure crisis in 2012, according to a new analysis. The most devastating impacts were felt in communities of color: in zip codes with majorities of people of color, average lost wealth per household was $4,900, more than two times the average lost wealth($2,300) of in segregated white zip codes. 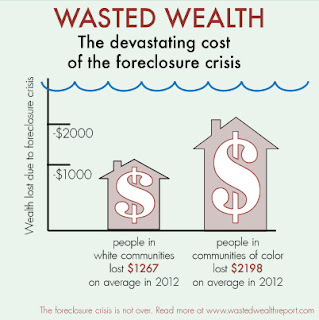 These are among the key findings of a landmark study, “Wasted Wealth: The Foreclosure Epidemic, a Generational Crisis for Communities of Color,” released today by Occupy Our Homes Atlanta with the Alliance for a Just Society, Home Defenders League, and The New Bottom Line. Wasted Wealthanalyzes 2012 foreclosure data to calculate lost wealth, examines the ongoing threat of foreclosures-in-waiting, and explores the economic impacts of principal reduction. 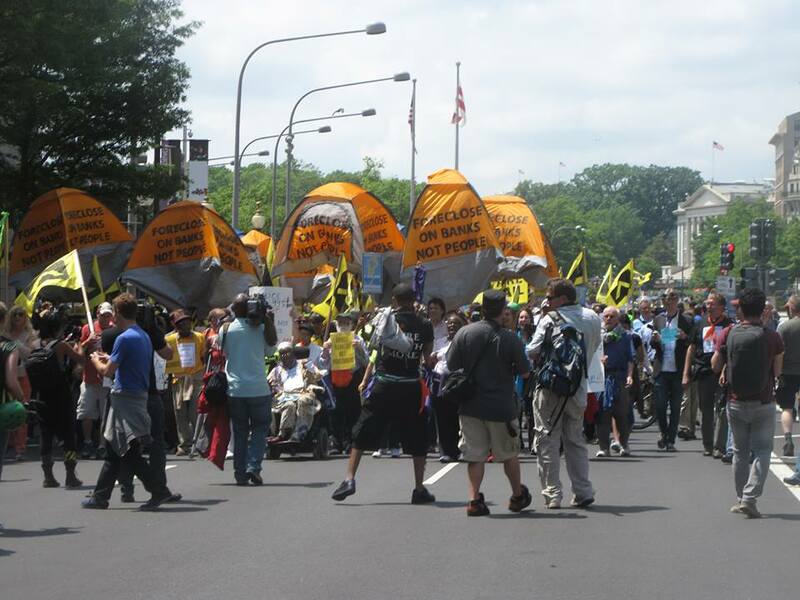 “While the impacts of the housing crisis have been felt broadly across communities and across the country, these data shows that there’s a clear racial dimension to the foreclosure crisis: households in communities of color are the hardest hit,” said report co-author Jill Reese, Associate Director of the Alliance for a Just Society. In addition to wealth already lost in communities like Mark Harris’, the report found there were at lease 36,000 underwater mortgages still on the books in Atlanta 2012 and another $606.9 in wealth at stake if a share of these mortgages go into foreclosure. Homeowners like Mark Harris have worked with Occupy Our Homes Atlanta to push Congress and the Administration to deal with the current and pending crisis by enacting principal reduction. The report examines the economics of principal reduction; finding that a principal write-down program could save underwater homeowners in Atlanta an average of $6,700 annually, generate $242,200. in economic activity, and create 3,600 jobs. 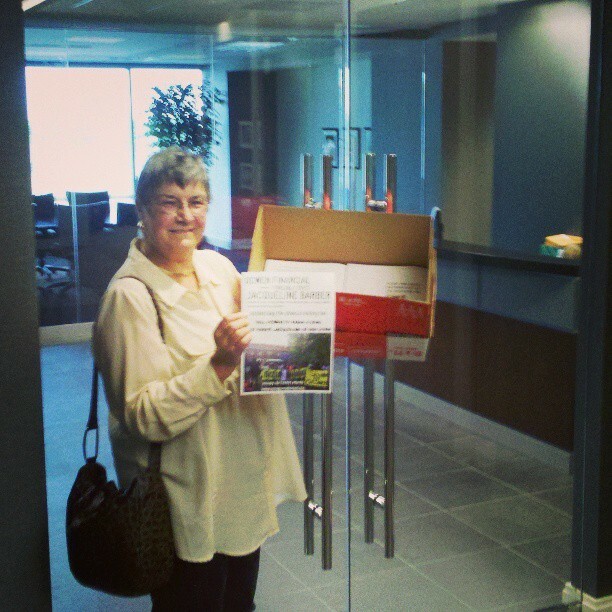 Today tens and thousands of signatures from four different petitions demanding that Ocwen and US bank make a deal that keeps Jacqueline Baber and her family in their home was delivered to Ocwens hard to find office at the 6th floor of the 2002 Summit Boulevard building in Sandy Springs. 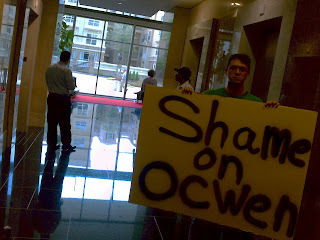 When we got up to the 6th floor, which is all Ocwen, the receptionist would not let us in. We had to call and talk with her through a glass door. 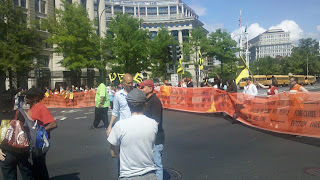 We stated that we were there to deliver something to Vice President John Bitti. It was clear that they were afraid to let us in, we assured them that we simply were going to drop off the petitions and be on our way. Eventually we decided to prop the petitions against the door; Dianne Mathiowetz was kind enough to pose for a picture with the petitions in front of Ocwens main office entrance. As we were delivering the petition a team of folks were in the lobby passing out these flyers. Our goal was to make it clear to Ocwen that we know where they are and we are not afraid to bring the fight to save Jacqueline's home to their front door. We also wanted their neighbors to know the Ocwen is willing to put a 20 year APD veteran and Cancer survivor out on the street at a time that her battle with cancer is not going that well. The corporate complex the Ocwen's office presides on is totally privately owned, even the streets and sidewalks or not public, so we were confronted with private security pretty quickly, but not fast enough to stop us from delivering our petition and passing out tons of leaflets. On Monday Jaqueline Barber got a call from Ocwen, a financial institution she's never heard of, informing her that she has two days to vacate her home. She had just gotten out of the hospital after having a procedure done on her back, leaving her walker bound when not bed ridden. The news from Ocwen was terrible news for someone fighting their second bout of multiple myeloma. 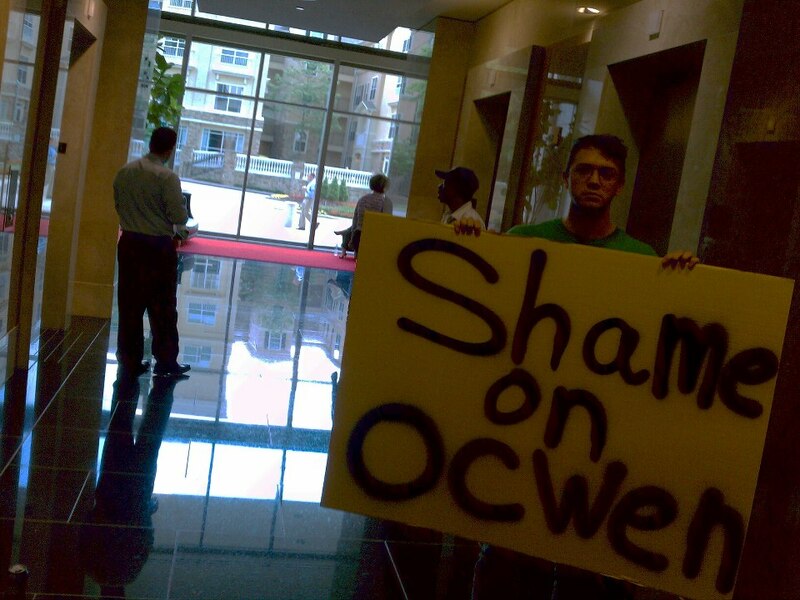 Jacqueline Barber found out that her mortgage was transferred from GMAC to Ocwen Financial Services and Ocwen is refusing to honor any of the deals arranged with GMAC over the last 6 months, which included a buyback offer. Ocwen Financial services is a company notorious for shipping jobs overseas, creating tax havens in the Virgin Islands, and defrauding customers. The executive chairman of Ocwen, William Erbey famously accepted millions of bailout dollars while setting up tax shelters for Ocwen’s Home Loan Servicing in the Cayman Islands to avoid paying any taxes. The stress of an eviction would not only leave Jacqueline, her daughter, and four grandchildren homeless, it would also accelerate her cancer severely. We believe that moving Jacqueline could literally be a death sentence to a woman who worked hard serving her community her whole life and simply got sick. Over 50,000 people have signed various online petitions for Jacqueline Barber and there have been solidarity actions all over the country. Click here to add you name. 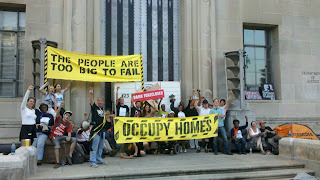 American Friends Service Committee and Occupy Our Homes Atlanta have been working with Jacqueline since October of 2012. GMAC had agreed to allow Jacqueline to buy back her home at market value. Jacqueline agreed to pay $1800 into the registry of the court until she could get financing, a payment she has made early every month. Today around 30 people joined Jacqueline in front of her home for a candlelight vigil. 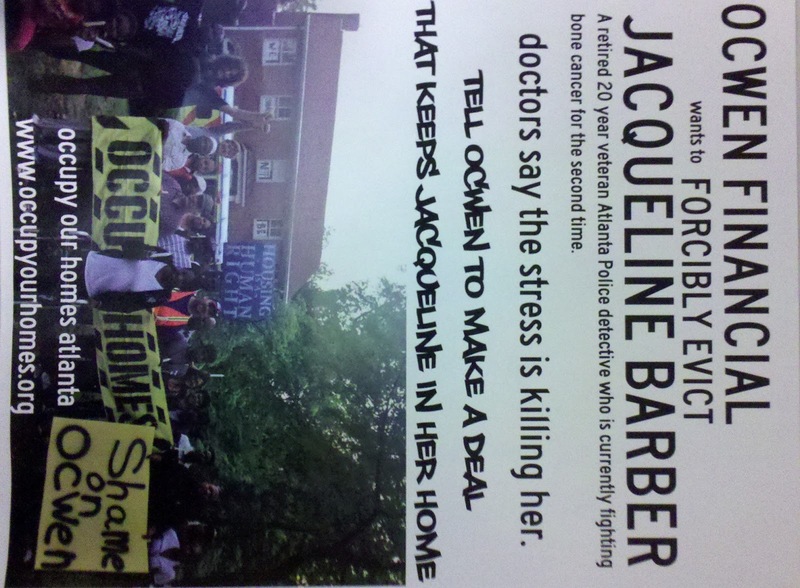 It was made clear that the community will simply not allow Jacqueline's life to be at risk by Ocwen. Her life is more important than Ocwen's greed. 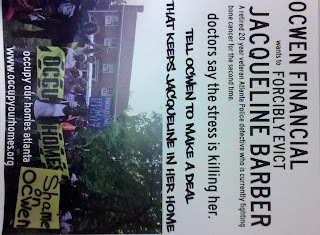 Tomorrow a small group plans to deliver Jacqueline's petition signatures to Ocwen's office in Atlanta. 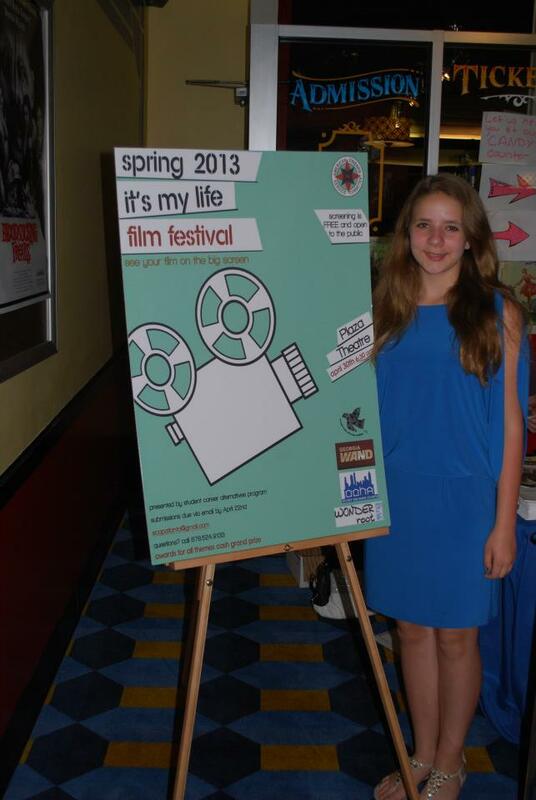 "It's My Life" Youth Film Fest a Big Success!! To Mark the third, "It's My Life" youth art event Student Career Alternatives Program, a project of AFSC, wanted to try something different. 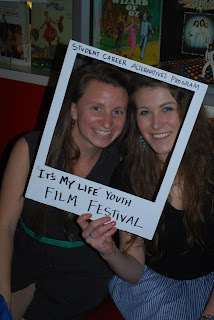 This year we decided to organize a youth film festival instead of a general art contest. 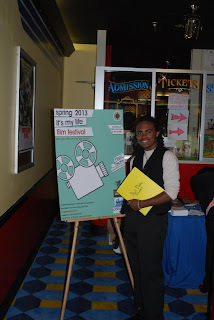 Our thinking was that short thematic films could have a greater impact beyond the art contest event itself and that it would be really cool for youth to see their films on the big screen. The festival was held at the Plaza theater this past Tuesday and was really well attended. 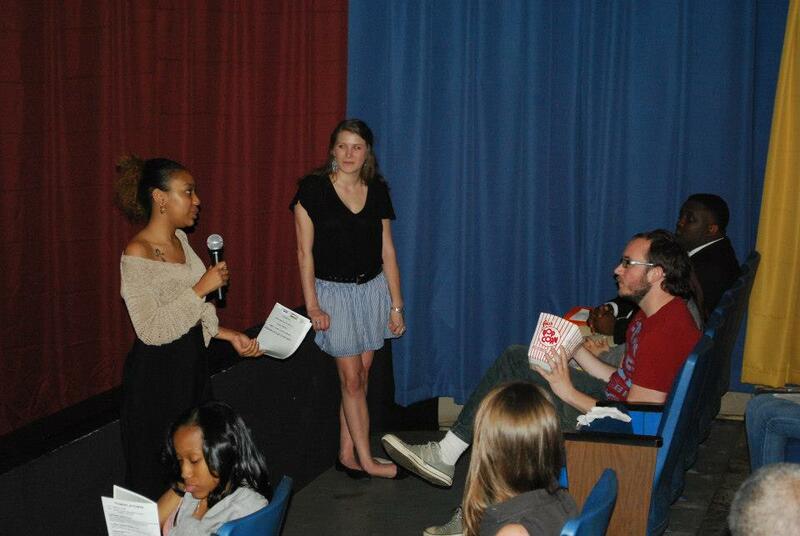 It was great to have teachers, youth, and parents come together to watch and honor the work that went into these films. Kayla Crumbley for, "A Silver Screen Dream"
Katherine Sudakova and Paul Duhe for, "Love....Just Love"
Tesh Yana for, "Horizons School"
Christianna Marino for, "How to Fight Poverty Locally"
Daniel MiQuel for, "Gotta Make a Change"
Every official "It's My Life" youth film festival selection was awarded with a certificate and a one year pass to Wonderroot Community Art Center. At Wonderroot youth will have free access to a digital media lab, a dark room, performance space, ceramic studio, and a recording studio! We were also grateful to have former "It's My Life" youth art contest winner Aisha Ra'nee present to give all the youth film makers words of encouragement. 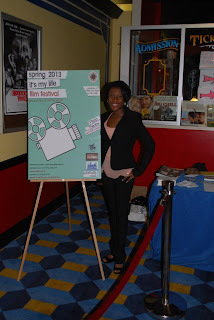 Aisha's video entry several years ago is one of the reasons we decided to try doing a film festival this year. 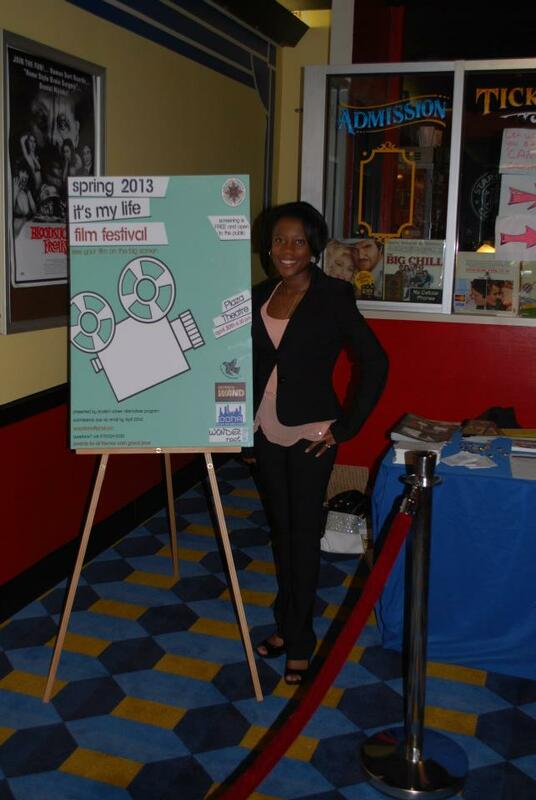 After winner 2011's art contest Aisha went on to enter a film program at Georgia State University where she has thrived as a student. 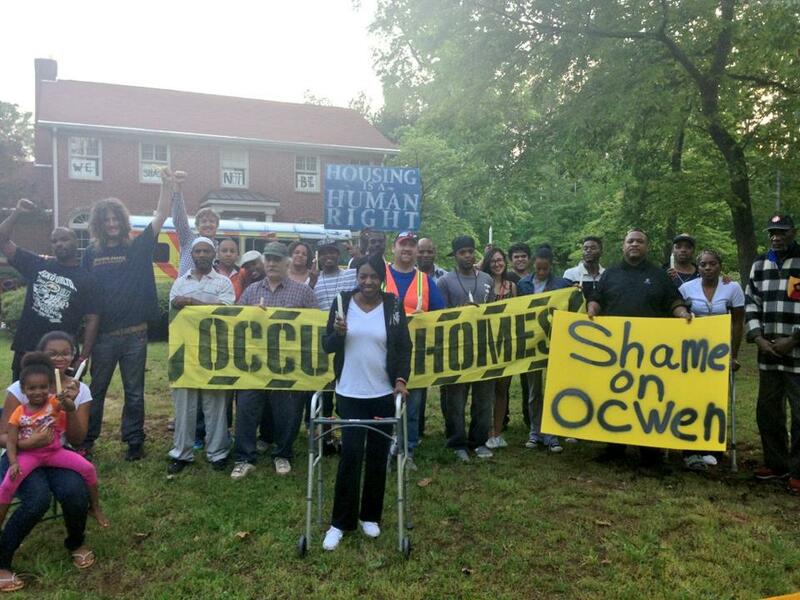 We want to give a big thanks to all of this year's sponsors, Georgia WAND, Wonderroot, Occupy Our Homes Atlanta, and The Georgia Peace and Justice Coalition. 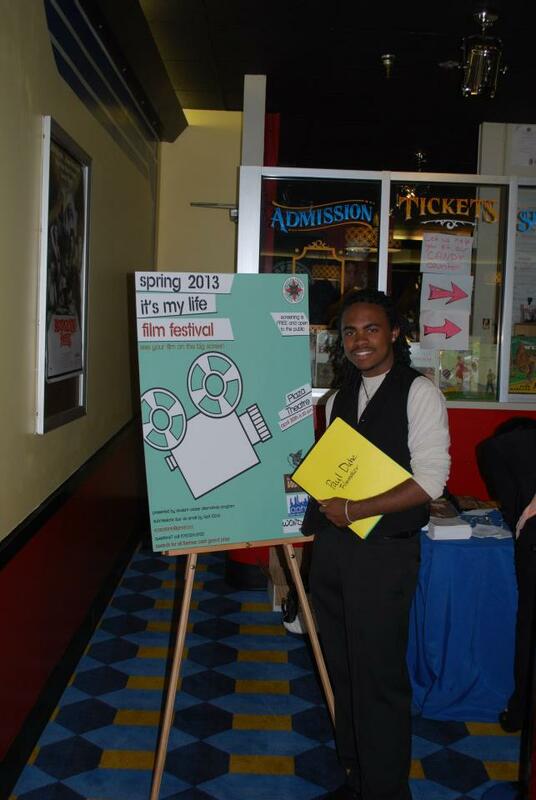 Also a big thanks to the Plaza Theater for giving us a discount prize on the theater rental. This event would not have been possible with out the countless hours of volunteer time that Victoria Temple and Erica Schoon put into this project! Thank you both for your amazing service! For more pictures of the event visit SCAP's Facebook group and join here. Can't wait till next year!! 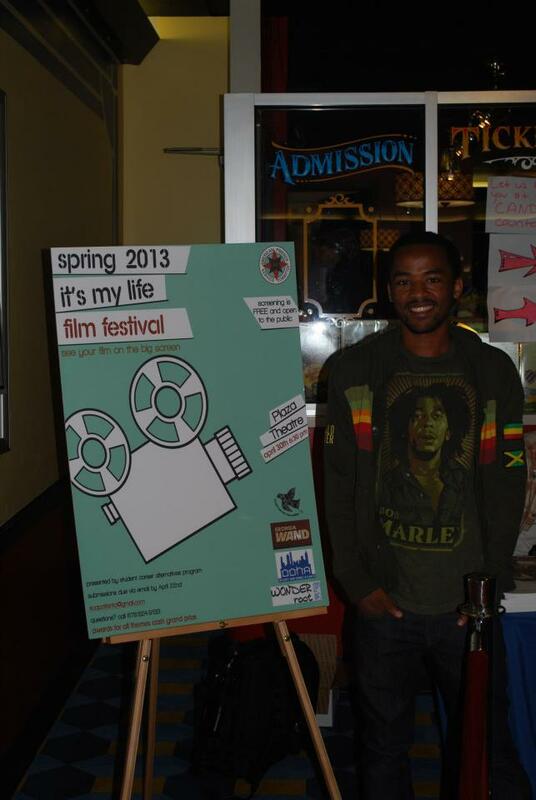 "It's My Life" Youth Film Festival Official Selections!! We will be putting out another post Thursday evening that focus' more on the event itself, which was really awesome, but for now we want to publish all of the wonderful accepted entries for Your viewing pleasure! 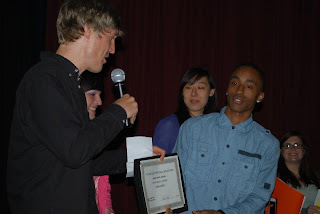 Special thanks to all of the amazing youth film makers who poured their effort into these films. Enjoy! Films are listed in Random Order. Since early 2012, Occupy Our Homes Atlanta has joined with New Bottom Line in driving the campaign to get President Obama to dump Ed DeMarco, acting director of the Federal Housing Finance Agency. 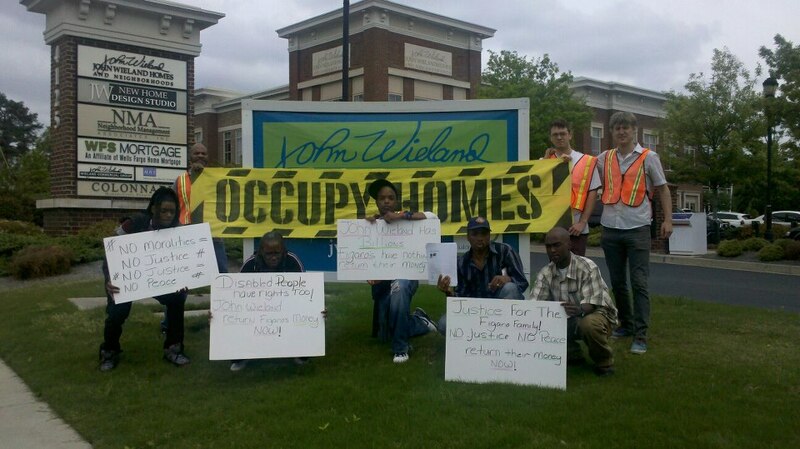 Today, Occupy Our Homes Atlanta joined with New Bottom Line in celebrating the news that the president announced Rep. Mel Watt as the nominee to become the permanent director of FHFA. Occupy Our Homes Atlanta also urges Congressman Mel Watt to support principal reduction at Fannie Mae and Freddie Mac in his new position, as well as supporting the vital role they play in ensuring homeownership opportunities for all communities. 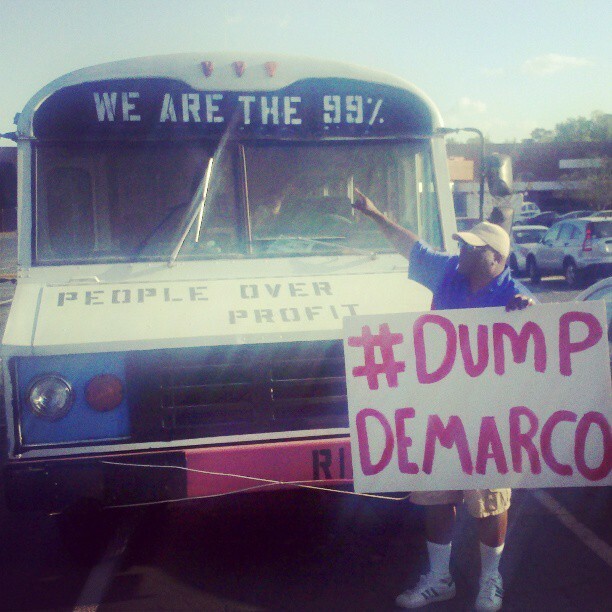 During his tenure, DeMarco blocked needed and sound economic policies such as principal reduction, which in turn helped to drive millions of homeowners into unneeded debt and foreclosure while holding down our country’s economic progress. Today the Figaro family led a letter delegation and picket outside the headquarters for John Wieland Homes, the contractor that built Mike and Patrice's home without proper permits and caused them years of suffering. Before the street protest outside the office Mike and his sons were joined by ten of us as we walked inside the office and asked to meet with whoever's in charge. During our meeting it was clear that John Wieland's staff was unwilling to take Mike's case seriously. After the meeting we stood outside the office and passed out leaflets to folks driving by and folks coming in and out of John Wielands office for business. Our names are Mike and Patrice Figaro. 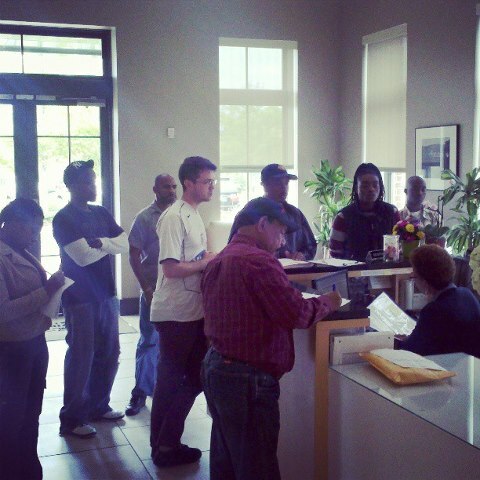 In 2006 we paid in full for you to build us a home in Fulton County. After moving into our home we discovered that John Wieland Homes had cut corners getting permits and building our home. There was never a permit approved for the 220V line into the house, the signature on the certificate to occupy was forged, and a sinkhole grew in our yard. As a result of your negligence and lack of accountability, we went through multiple water heaters and electronic appliances. As we tried to have you repair the problems you caused, our home was condemned by nearly every institution aside from the Fulton County government. Because there was no electrical permit, people refused to make repairs. Now we have lost the house to foreclosure after having to take out a line of equity to survive all the pitfalls in the house you built us. We demand justice. We demand that you fix the problems in the house you fraudulently built, and compensate us for our pain and suffering. We expect a response by this Friday at 5pm.